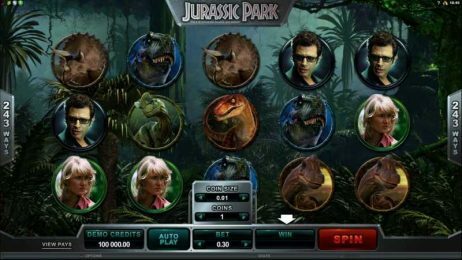 A slot that needs no introduction, Jurassic Park is a branded slot provided by Microgaming and invites players to once again visit the prehistoric theme park. 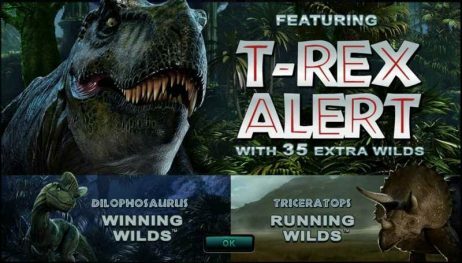 Plenty of excitement and thrills await, and surprisingly you’ll find yourself hoping for an appearance from the giant T-Rex. 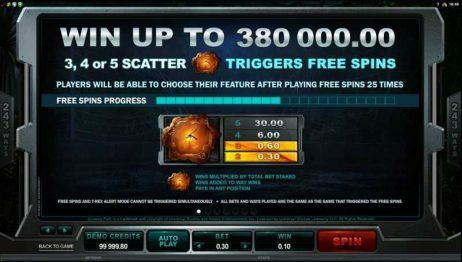 The game’s wild symbol replaces all other symbols on the reels except the scatter. 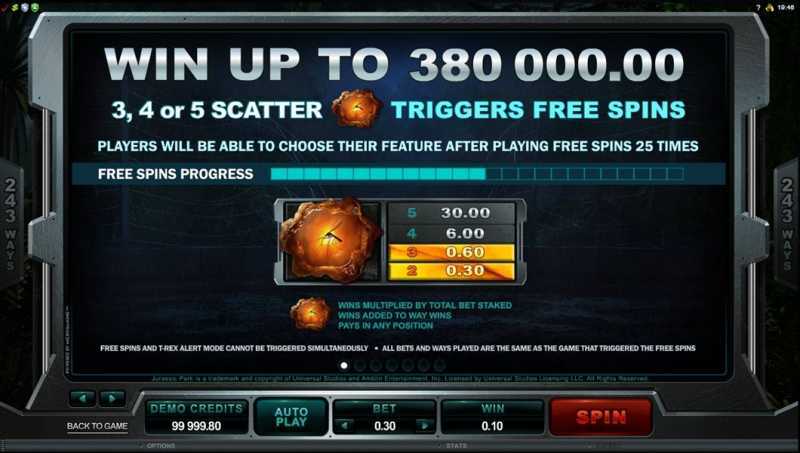 Match 3 or more Dinosaur Egg symbols and you’ll start the free spins feature. 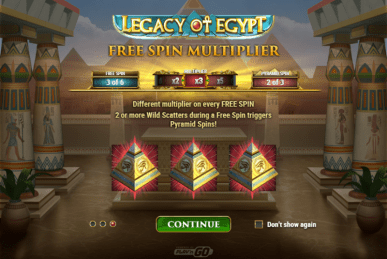 There are several different free spin features, each offering 12 free spins with their own mini-features, these include wild reels, split wilds, winning wilds, running wilds, wild and mystery multipliers. Every player begins on the T-Rex Free Spins feature and unlocks the other features the more you play. 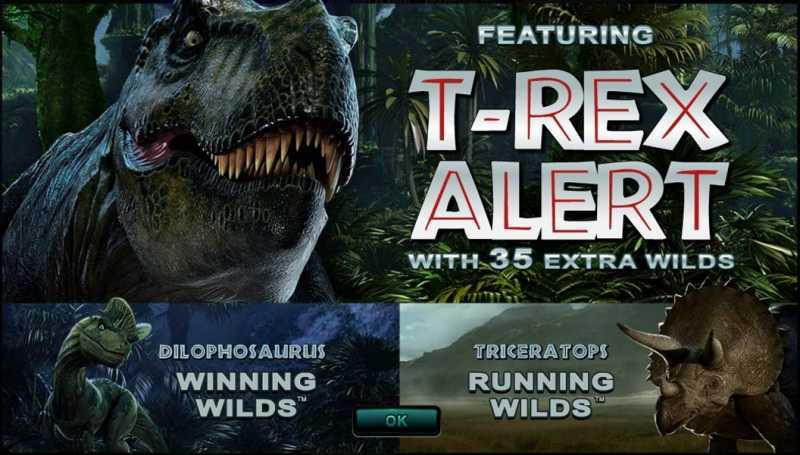 A randomly triggered bonus, T-Rex mode last for 6 spins and the T-Rex appears behind the reels on the 3rd spin. 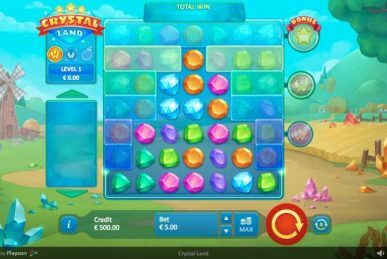 A maximum of 35 wild symbols are added during the six spins, and can result in some impressive wins. If there were a film deserving of an online slot adaption then it would have to be Jurassic Park. 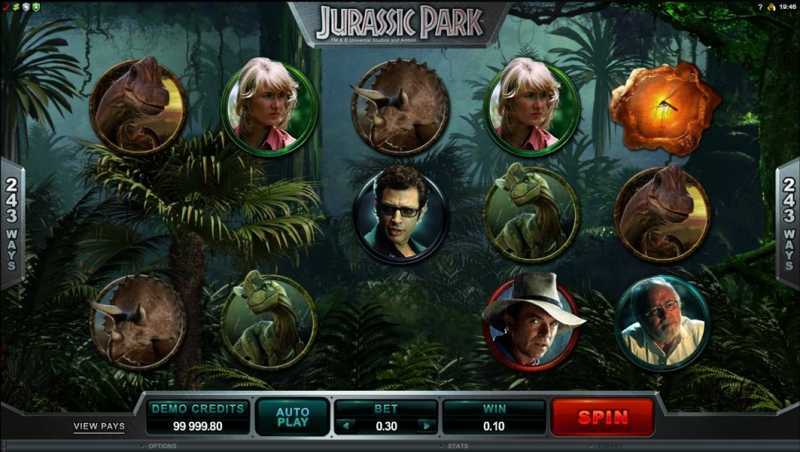 Engrained in many of our childhoods, Jurassic Park is one of the highest-grossing films of all time. So there’s big expectation with its slot! 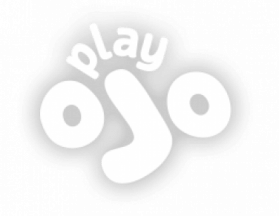 Fortunately it hits all the right notes, giving players plenty of exciting bonus features and great graphics and sound.  There’s a reason this is one of Microgaming’s most popular slots.